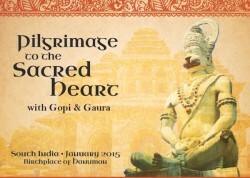 Join Gopi Kinnicutt and Gaura Vani for another unforgettable tour to South India. The ancient town of Hampi is filled with hundreds of ruins and gigantic stone architecture from the city named Vijaynagar. Centuries ago, this city was abandoned because of war at the height of India’s wealth and splendor. It is the legendary birthplace of the heroic monkey-warrior Hanuman and many episodes from the life of Rama and Sita happened here in these sacred mountains and the surrounding area. 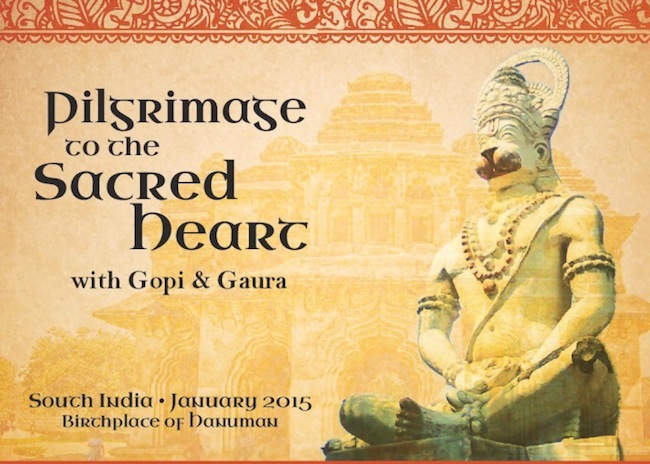 This is a pilgrimage that will bring sacred stories alive, and allow us to enter deeper into the heart of yoga. This land of celestial beauty – beautiful hill chains, pure forests, unending beaches and very friendly people – lies between the abundant mountains of the Western Ghats on the East and the immense and calm Arabian Sea on the West. The town of Udupi is built around one of earth’s oldest and grandest Krishna temples and is also the home of Sri Madhavacharya, believed to be an incarnation of Hanuman. Madhvacharya was a visionary and teacher from the Bhakti tradition in the 13th and 14th centuries (same time as Saint Francis), and is one of the most prominent saints that brought the jewel of bhakti yoga to the modern yogic practitioner. 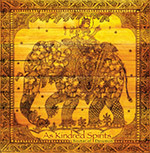 On the outskirts of the city of Mumbai we’ll retreat and reflect at a self-sustaining, organic, eco-farm and village. Beautiful, handmade mud yoga shalas, incredible, delicious food cooked by monks using organic crops, thriving animal welfare program, ashram, ayurvedic spa and treatments. Our time here will serve as a place to reflect and assimilate how to transition back into our lives in the West. Finally we head into the heart of India’s most modern and dynamic city and join in the timeless, other-worldly celebration of the Flower Festival. Two tons of flower-petals are poured on deities of Radha and Gopinath and then showered on the festival goers – we’ll be immersed in music, color, dancing, food and an unforgettable divine party as we say good-bye to India. I spoke to Gauravani this summer about the possibility of my husband, George and myself joining you both for your Yoga tour in January. I would love to speak with you about some questions we have. Hope you and family are well! You could also call us at 207-563-5754.